Cosmic Twins. 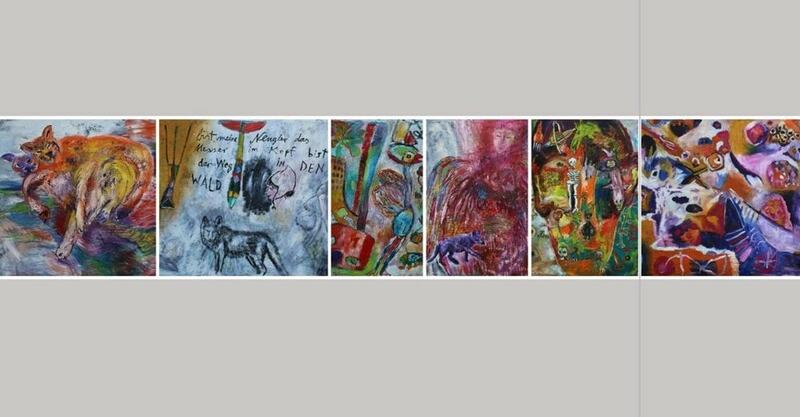 Exhibition "Parallel Paradise" / Friedrichschtrasse 200, Berlin. 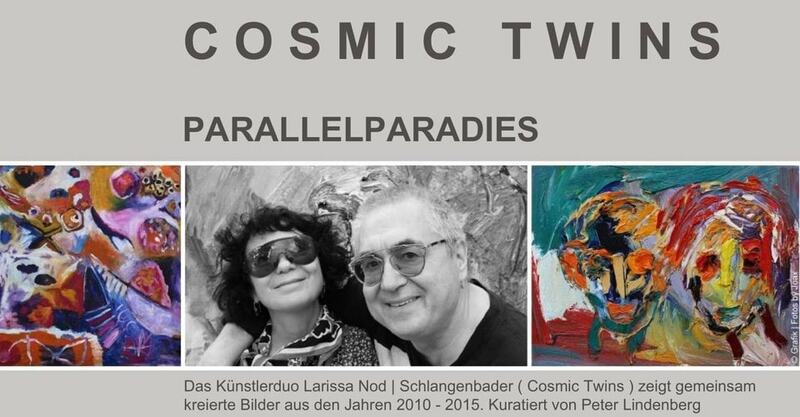 On Friday the 28th of September, at 7 pm, the artist duo, the "Cosmic Twins" Larissa Nod and Peter Schlangenbader show the furious, jointly created pictures of 2010-2015 in the exhibition "Parllelparadies". At 9 pm in Showroom F200 (2nd shop next to the main entrance), in the same building, Peter Lindenberg celebrate the Finnissage after 1.5 years of temporary use, introduce the latest catalog and the pictures that appear in it and also produce the latest image film showing the emergence of a big picture!